technology at an economical price. 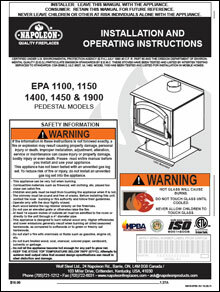 A wood stove that allows you to be free from the dependency of the utility companies for home heating. The Independence 1450 Pedestal Stove is a great value, has proven performance, an extended burn time, a clean burning technology and stylish looks.